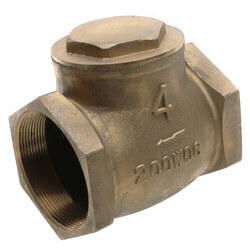 A check valve ensures that water only flows in a single direction of a plumbing system. 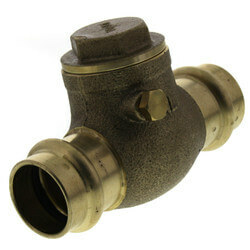 This prevents contaminated water from flowing back into the system once it has been used. 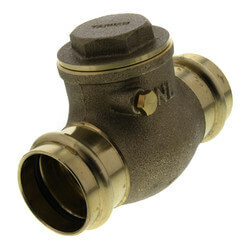 The most common type of check valve is the swing check. 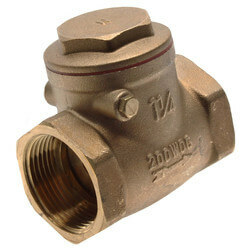 A swing check is a type of valve that contains a hinged panel that opens and closes as liquid flows through it. 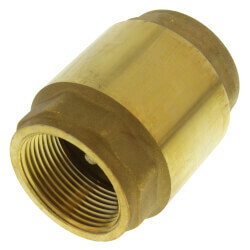 When liquid enters a swing check, pressure increases and the hinged panel is lifted. 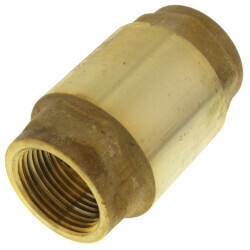 This allows the liquid to flow through and exit the system. 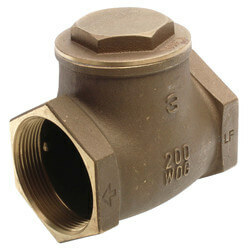 The check valve's hinge serves as a one way street and liquid cannot flow through in the opposing direction. 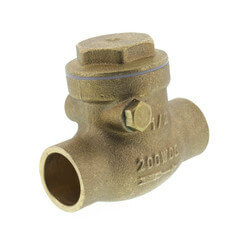 The average home plumbing system operates between 35 to 55 psi, depending on the pressure regulator's setting. 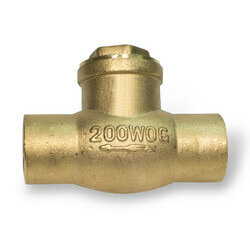 If the street pressure falls below the house pressure, water will flow back into the city system. 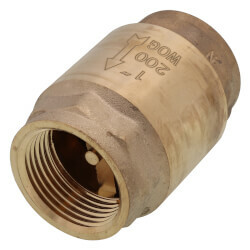 A check valve prevents this from happening. 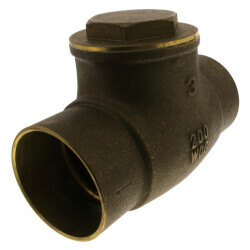 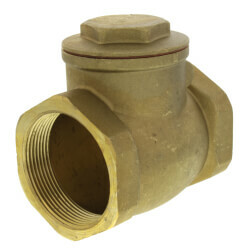 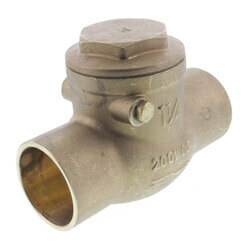 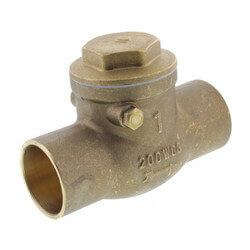 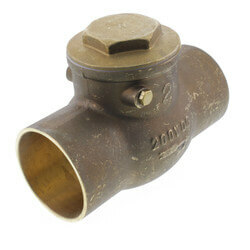 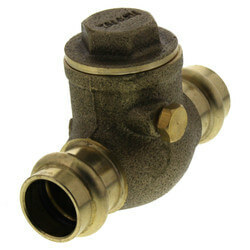 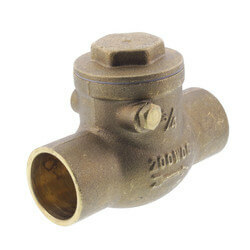 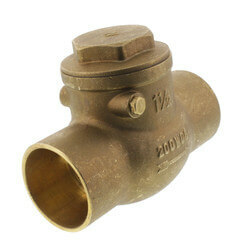 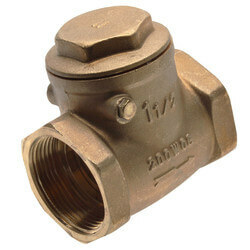 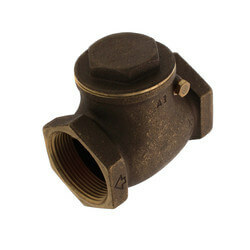 Check valves are also commonly used in sump, pond, and sewage pump applications. 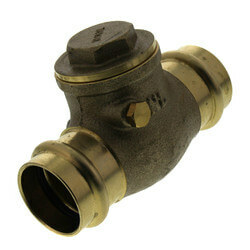 They are also used in closed loop solar applications to prevent thermal siphoning. 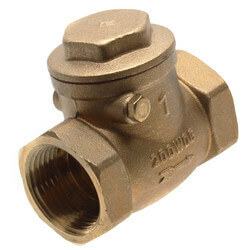 Check valves should be installed horizontally in a plumbing system. 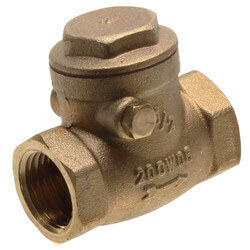 If vertical installation is required, a Spring Loaded Check Valve is recommended. 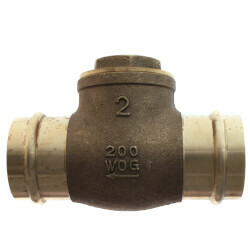 Hydrovalve check valves are available in two standard connection types: Female Threaded (IPS) or Sweat (CxC). 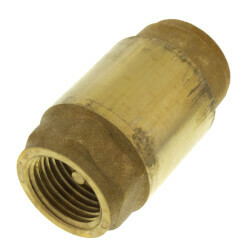 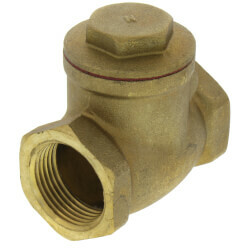 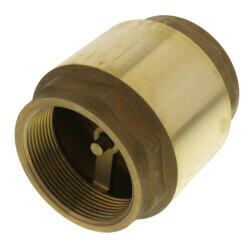 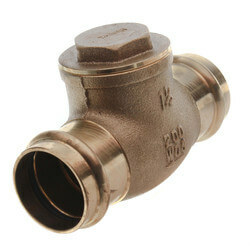 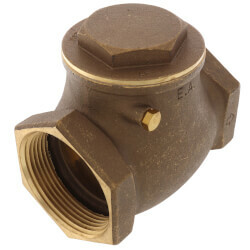 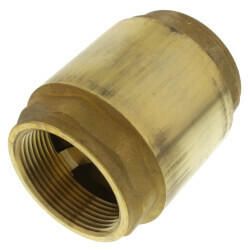 1/2" and 3/4" check valves are the most common sizes sold on our website, however sizes are available from 1/2" to 4".